Bee Organika’s Moringa Honey is as delicious as it is super nutritious and is blessed with a very smooth texture. 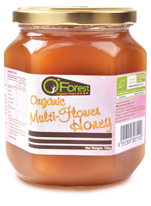 We use fair trade, ethically produced, Moringa Honey from Indian. We extract pure Mooringa Honey from the beehive which kept in the Mooringa organic farms . Two highly nutritious foods come together to produce one ultimate super food. You reap both the benefits of Moringa and honey all at once, in one delicious mouthful of Moringa Honey. This food is also called super food . · all the Omegas 3, 6, and 9. · Zeatin – several thousand times more Zeatin than any other known plant – which has undeniable youth-preserving effects due to its ability to regulate cell division & growth, plus delay cell aging. 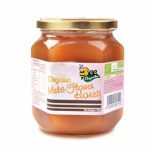 Bee Organika’s Moringa Honey are produced by honey bees from the nectar of moringa flowers. It’s dark brown with a rich and thick consistency.The flowers are fragrant and bisexual, surrounded by five unequal, thinly veined, yellowish-white petals. They grow on slender, hairy stalks in spreading or drooping flower clusters. Flowering begins within the first six months after planting. Flowering happens once a year in cool regions, or twice or all year-round in areas with a constant rainfall. It makes a fruit, a long, slender, triangular seed-pod. It’s a capsule with 3 sides which holds dark brown, globular seeds with a diameter around 1 cm. The seeds have three whitish papery wings and are dispersed by wind and water. 1. 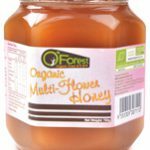 Retains Calcium in Body: Honey helps to retain calcium in the body which is especially important for women after the menopause when loss of calcium can lead to osteoporosis. 2. Arthritis and Rheumatism: Honey contains a significant amount of potassium which helps to balance acid accumulation in the body, which makes it very useful for sufferers from arthritis and rheumatism. 3. Prevents Cancer and Heart Disease: Honey contains antioxidants and flavonoids which help reduce the risk of some cancers, heart disease and diabetes. 4. Decreases incidence of ulcers and other gastrointestinal disorders: Recent research has shown that honey may help the treatment of ulcers, indigestion (dyspepsia) and bacterial gastroenteritis. This is due to honey’s anti-bacterial properties. 5. Anti-Bacterial and Anti-Fungal properties: Honey has anti-bacterial properties due to an enzyme which creates hydrogen peroxide. 6. Improves Athletic Performance: Honey has been shown that it is better in maintaining glycogen levels and improving recovery time than other sweeteners. 7. Decreases Cough and Throat Irritation: In a study done with 110 children, buckwheat honey in particular was shown that it was just as effective as a single dose of dextromethorphan in relieving a cough and allowing peaceful sleep. 8. Stabilizes Blood Sugar Levels: Honey contains nature’s perfect combination of fructose and glucose which helps to regulate the body’s blood sugar levels. Some honey’s have a low hypoglycaemic index which do not spike your blood sugar. Honeys with the lowest glycaemic index (GI) are usually Monofloral (honey which is made from a single plant species) and raw, unprocessed. The more processed it is the higher its glycaemic index. 9. As A Sweetener: As a carbohydrate, honey supplies 64 kilocalories/268 kilojoules of energy per tablespoon (21 grams). Honey is sweeter than table sugar, sucrose, due to its high fructose content. On overage honey is 1 to 1.5 times sweeter than sucrose on a dry weight basis. Liquid honey is approximately as sweet as sugar, yet it contains only 82.4 grams of carbohydrates per 100 grams (as opposed to 100 g/100 g for sucrose) and provides only 304 kilocalories per 100 g (versus 400 Kcal for sucrose). Therefore, honey is a healthier option than table sugar as a sweetener. 10. Heals Wounds and Burns: Honey has been found to be as successful as silver sulfadiazine in the treatment of burns and wounds as an external application. The reason for this is the combination of the honey’s drying effect due to the simple sugars and the honey’s antibacterial properties. 11. Probiotic: Raw, unprocessed honey contains large amounts of probiotics which are the friendly bacteria beneficial for keeping the intestines healthy, assist in digestion and also help maintain a strong immune system. 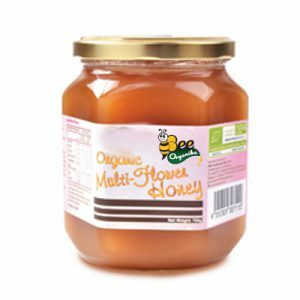 Depending on the honey it may contain up to 6 species of lactobacilli and 4 species of bifidobacteria. 12. Beautiful Glowing Skin: Honey is nourishing and a wonderful moisturizer for the skin. Its anti-bacterial and antioxidant properties help combat spots and create a youthful complexion. Shipping Time: Usually 2-4 days from the date of order. For 'Made to Order' products, it can be as high as 5-6 days. Check your approx date of delivery on this page. Delivery Time: 2-4 days from dispatch from seller location if Metro (source) to Metro (destination), 4-5 days from dispatch if Non-Metro (source) to Non- Metro (destination). Shipping Cost: You don't have to pay anything extra apart from what is shown during checkout and in your order confirmation email. Returns and Exchange: We at Bee Organika strive to ensure you get 100% satisfaction from any of the products you buy from us. Having said that, we get that you may have an occasional concern with your order. Please do write in to us at support@beeorganika.com and we will be happy to resolve any issue that may have occurred. Returns and Exchanges will be evaluated on a case by case basis and in general all food products are non-returnable. Bee Organika’s Jamun Honey is also called as Jambhul Honey or Blackberry Honey or Naval pazam honey , extracted from the bees that collect honey from the Jamun flowers. No additional flavor is added. It gets a distinct color, flavor and aroma because of the flowers from which it is extracted. It is collected from Jamun farms when the Jamun flowers blossoms. Jamun is good for diabetes patient. The black plum has anti-diabetic features. Jamun helps to convert starch into energy and keep your blood sugar levels in check. Honey is a sweet, viscous food substance produced by bees and some related insects. Bees produce honey from the sugary secretions of plants or other insects through regurgitation, enzymatic activity, and water evaporation, and store it in wax structures called honeycombs. Bee Organika’s Neem honey is a popular ayurvedic treatment and can be commonly found in India where neem trees. It is used to lower high blood pressure, diabetes, skin problems, allergies, dental illnesses, and throat infections. We extract pure Neem Honey from the beehive which kept in the Neem farms . It is said that it has the same benefits as Echinacea and Goldenseal. While it is mainly used for skin conditions like acne, psoriasis, eczema, dryness, itchiness, wrinkles, warts, skin ulcers, it is also considered to help a lot with diabetes, arthritis, chronic fatigue, and more. It is used to lower high blood pressure, diabetes, skin problems, allergies, dental illnesses, and throat infections. You can find it quite easily all around the Indian sub-continent where the Neem trees (Azadirachta indica) are common. 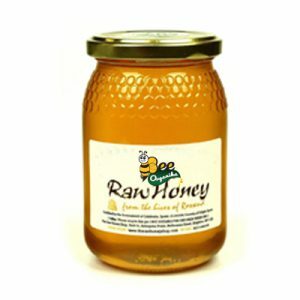 It shares most of its health claims with many of the world’s quality honeys. It also has a few others which are totally unique. Neem has a natural blend of health properties that are said to work at preventing, treating and even curing common ills. This dark, robust honey is certainly in high demand that’s for sure. 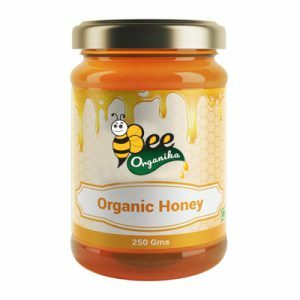 Bee Organika’s Mustard Honey is as delicious as it is super nutritious and is blessed with a very smooth texture. Mustard Honey is ethically produced from Indian. We extract pure Mustard Honey from the beehive which kept in the Mustard organic farms . Two highly nutritious foods come together to produce one ultimate super food. You reap both the benefits of Mustard and honey all at once, in one delicious mouthful of Mustard Honey. Mustard the greatest treatment for arthritis discomfort, back again soreness, leg discomfort, upper body blockage, Wellness benefits of mustard .